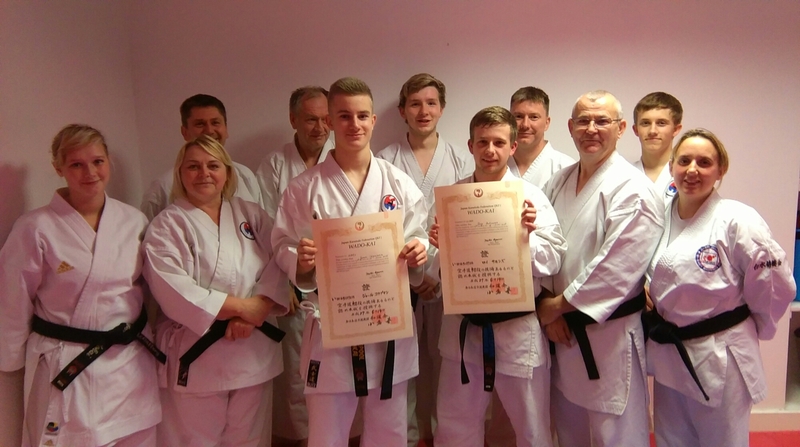 On Tuesday we were able to award Joel Copeman and Roy Salmons their JKF-Wadokai Dan Grading certificates. Both passed their black belt test under the watchful eye of Sakagami Sensei, 8th Dan and his team of examiners back in June at the Aiwakai Summer Course that we hosted at our dojo HQ. Well done once again guys, you worked really hard for this and you should feel proud of reaching this milestone in your training. It’s great to see that you’ve both continued training hard too.